The highly anticipated Battlefield 1 is being released this week and is set to be one of the biggest games of the year. 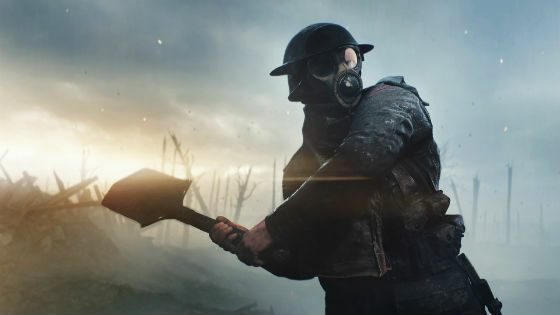 The Battlefield series has always prided itself on its massive, 32-a-side multiplayer, and Battlefield 1 is no different. Here's a selection of the awesome features the new shooter has in store. World War I is a fresh setting. After nearly a decade of modern settings and sci-fi, all rendered in beige and brown, Battlefield 1's historical setting is certainly refreshing. There'll be no M16s or pulse rifles in this game. You'll instead be outfitted with archaic bolt-action rifles and the first experimental automatic weapons, some of which look truly bizarre. You won't just be fighting your enemies with bullets. In true trench warfare style sometimes you'll be forced to fix bayonets and charge. The bayonet attachment will allow you to perform a ferocious charge that will instantly kill any enemy in your path. There's also a selection of vicious melee weapons. Everything from improvisational trench shovels, to spiked mauls, you can merrily club your enemy to a paste in the more claustrophobic maps. With all the ordinance and heavy vehicles deployed you can hardly expect the scenery to escape unscathed. Many of the structures on the map can be damaged and destroyed. This isn't just for show, you can use this destructibility to your advantage. If you find yourself facing an enemy dug into a small house, why not blow a hole in the wall and expose him to the withering fire of your team mates? 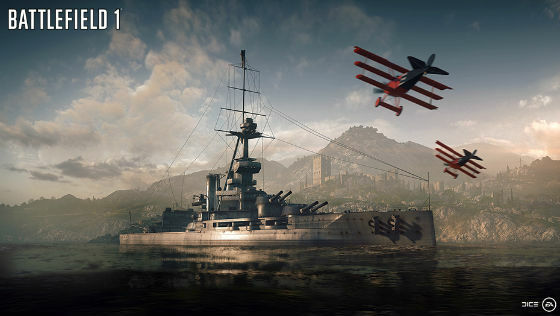 A new class of vehicle has been added to Battlefield 1; the behemoth. These monstrosities range from sky-filling zeppelins, to armoured trains, and even gun-bristling battleships. The best thing, each and every one of them is drivable. The last few iterations of Battlefield have had disappointingly lacklustre single-payer modes, but they've managed to turn that around with Battlefield 1's 'War stories' campaign mode. Instead of a single cohesive story, the single-player is composed of several episodic scenarios. You'll get to play as an English tank commander piloting his tank through squalls of chlorine gas, an air corp ace fighting in the skies above No Man's Land, or take on the role of a soldier fighting under the command of Laurence of Arabia himself. Battlefield 1 features a whole host of old times vehicles. Armoured cars, motorbikes, and horses let you zip around the map to flank your enemy. Biplanes let you take to the skies and engage in frantic dogfights. You can dominate the land with the first, experimental tank models, metal monsters that can take an ungodly amount of punishment. Just watch out for sneaky infantry with anti-tank grenades!